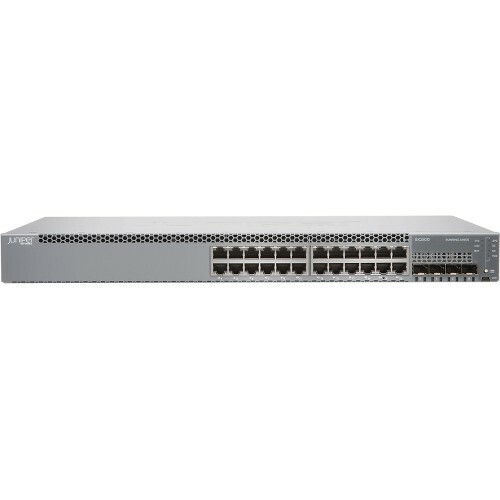 EX2300 and EX2300-C Ethernet Switches deliver a compact, high-density, cost-effective solution for small network environments where space and power are at a premium. 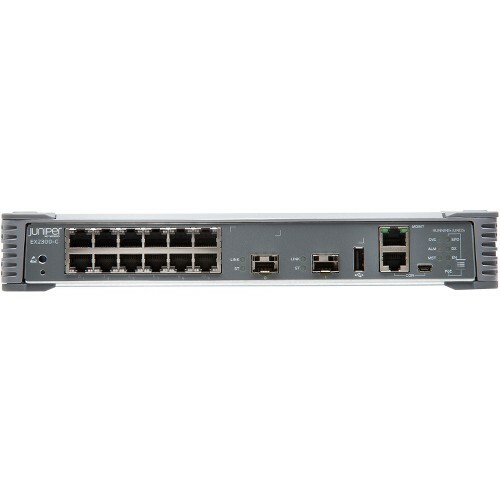 Featuring a small, 1U footprint, the EX2300 and EX2300-C are ideal for access-layer deployments in micro branches, retail and workgroup environments, and converged network access in larger networks. 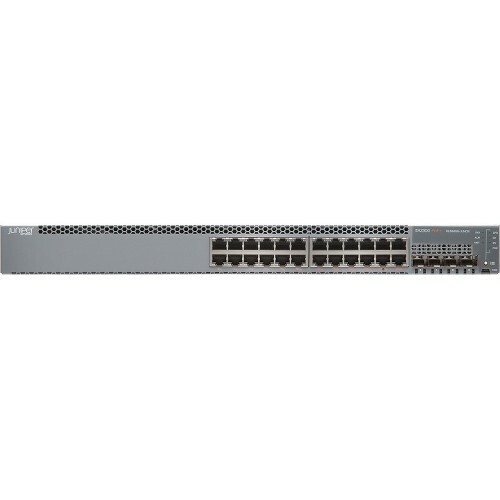 The EX2300 offers 24 10/100/1000BASE-T ports in a single platform, while the EX2300-C offers 12 10/100/1000BASE-T ports. 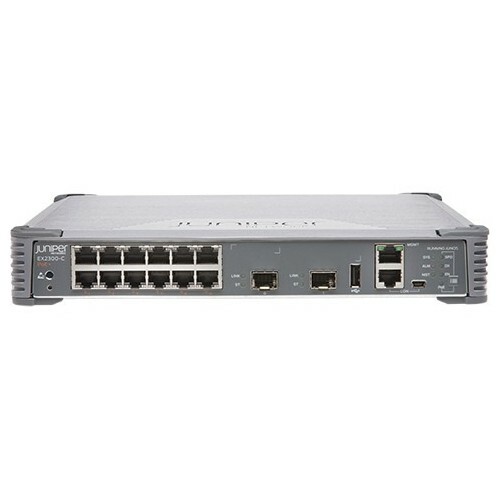 Both models are available with or without IEEE 802.3af Power over Ethernet (PoE) or 802.3at PoE+ for powering attached network devices. 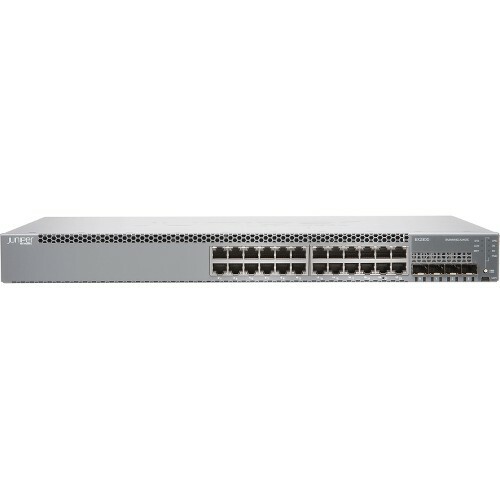 Optional front panel 10GbE uplink ports support connections to higher-layer devices. 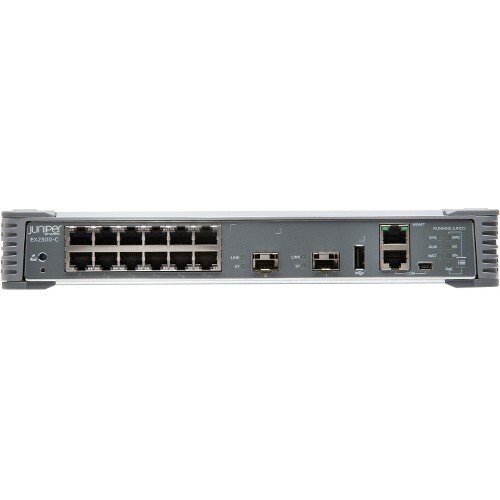 Both models support Juniper’s unique Virtual Chassis technology, enabling up to four of the switches to be interconnected and managed as a single device. Both models can also act as satellite devices in a Juniper Junos Fusion Enterprise deployment, which combines large numbers of access switches into a logical management platform.